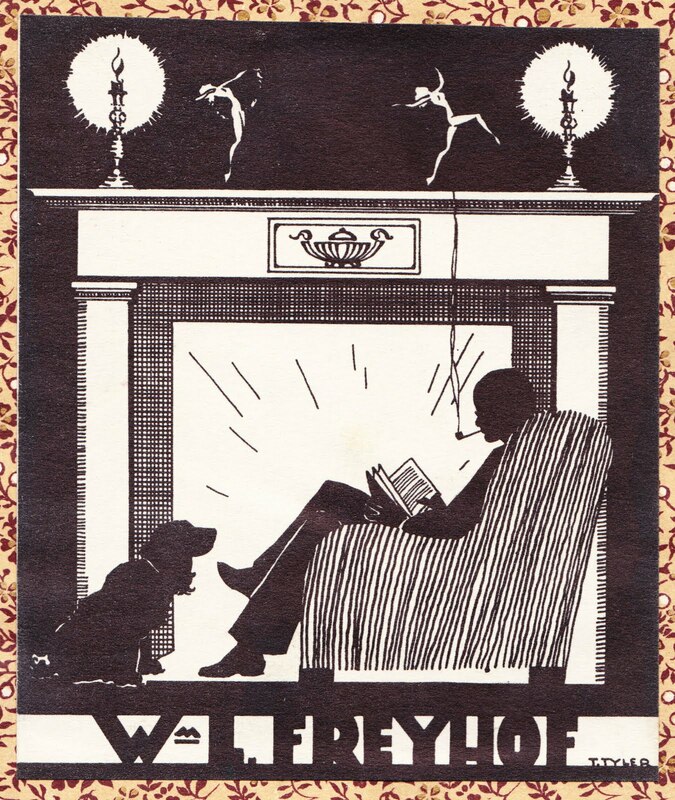 The illustration of the a pipe-smoking man and his dog by a fireplace2 was done by "T. Tyler," according to the small printing in the lower-right corner. 1. The book, published by The Saalfield Publishing Co., was part of "The Doctor's Recreation Series." 2. It looks like this guy has some action figures from Leni Riefenstahl's "Olympia" on the mantle above his fireplace. Which is kind of awkward. I have one of William's calling cards, that he wrote 1801-7 Union Bldg. Cincinnati, Ohio on the back. He gave it to my grandfather, probably around 1908-09.